Clusters of pinot noir await harvest. Winemakers using whole-berry fermentation without de-stemming the clusters must wait until the stems are ripe or risk getting unwanted flavors in their wine. A final note in our discussions of natural wines. One way of pursuing hands-off wine-making is through whole-cluster fermentation, also known as carbonic maceration. In traditional methods, red winemaking begins with the separation of the berries from the stems, either by hand or mechanically. The stems are removed since stems have a high tannin content (tannins also come from the skin and the seeds) and when unripe, stems can give the wine a green bell pepper or vegetative flavors. But whole-berry fermentation entails putting entire clusters of unpressed grapes into the fermentation vessel and allowing the naturally occurring yeasts to ferment inside the whole berries. The weight of the grapes on top crushes the bottom layers and those go through conventional fermentation (a good explanation here). The technique certainly isn’t new and is even considered a bit rustic although it’s become more popular recently among makes of Pinot Noir an certain other varieties. Grape producers have long known that if you store whole grapes in closed container, the weight of the upper grapes crushes the lower grapes and ambient yeasts acting on the juice at the bottom makes wine. 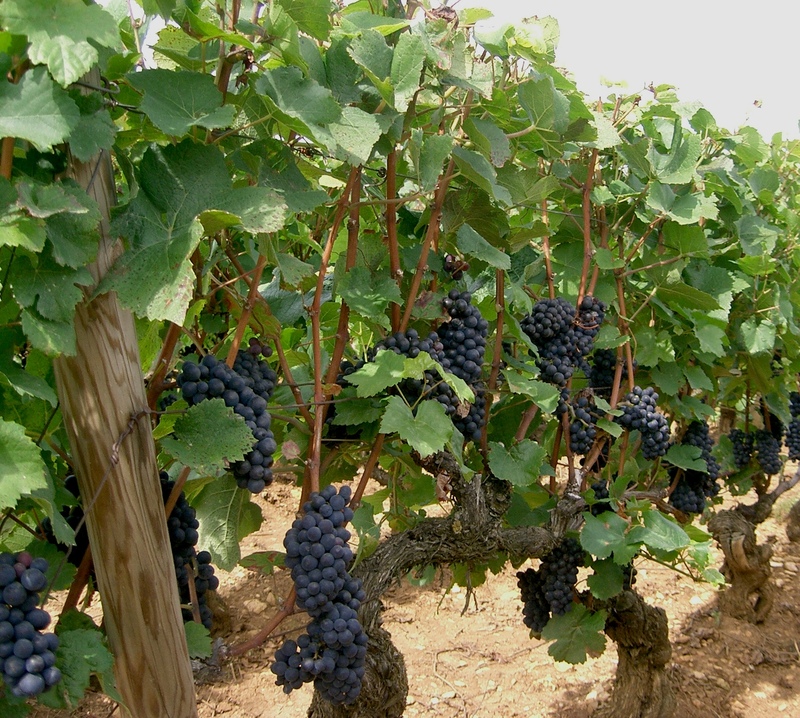 In its simplest form, the resulting wine is fruity with very low tannins, since the tannins are not released by the torture of a mechanical crusher. These fruity, low-tannin wines can be ready for drinking shortly after fermentation (Beaujolais Nouveau usually hits the market less than six weeks after picking) but aren’t made for long-term aging, which requires tannins to help with the wine’s maturation. “When it works, it affects aromatics and flavors, sometimes in an earthy sense, sometimes in a vegetative sense, and sometimes in both way,” Browne said. Which means – like the little girl with the little curl – when it’s good it’s lovely but when it’s not it can be an unwelcome handful. And Jamie Kutch of Kutch Wines in Sonoma, Cal., a long-time advocate of stem inclusion, told Mackay the stems add an important texture not found in stemless fermentation. “There are compounds found in stems that you don’t find in the fruit and seeds,” said Kutch. Writer Jamie Goode on his site Wineanorak.com reported Jeremy Seysses at Burgundy’s Domaine Dujac uses between 65 percent and 100 percent whole cluster fermentations depending on the blend. But because the final results are so variable, many winemakers echo Micheal Browne’s concerns about herbaceous flavors from adding the stems. This is especially so if the stems are damaged and somehow their green tannins get into the wines. On the other hand, if the stems are mature and the clusters are never crushed, pumped or damaged in any way to avoid the release of juice from the stems into the wine, the resulting wine can be enhanced by whole cluster inclusion. In the same article noted above, Australian winemaker Tom Carson of Yabby Lake told Goode that he hasn’t yet decided on his use of whole bunches, his comments reflective of one of the choices winemakers face when deciding on their personal wine-making philosophy. Great piece Dave. Thanks for sharing this information.